New year, new adorable kiddos! 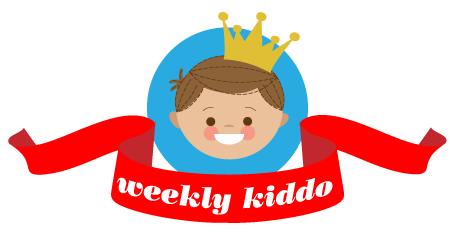 Well, let’s start this year’s Weekly Kiddo series with some devastatingly dashing cuteness in the form of THEO! This young gent has style aplenty. In his two years on this earth, Theo’s clearly learned a thing or two about putting together a super cute ensemble. According to his mama, Theo is a smart little bugger who knows all of his numbers and letters and likes to point them out (sometimes very loudly) wherever we go. What a clever clogs, eh? Theo loves cars, applesauce and giving big gooey kisses. Just what every gal wants in a boy! His mama’s clothing philosophy is, if grandpa would have worn it it’s perfect for Theo–simple and classic and super cute to boot! Theo’s mama get most everything on sale from local stores like Children’s Place or the Gap and red shoes from Piperlime. Theo lives with his mom and dad, dogs Ziggy and Orson and cat Boris. What a great kiddo! And such fab style too! PS: Do YOU have a stylish kiddo you’d like to show off? Send ‘em our way! You can find submission details here. We love all kinds of kiddos…. vintage and thrift loving liddles, modern grooviness tots and simply sweet, down-to-earth kiddos. I gotta say, I love getting cutie kiddos in my email inbox and we are so lucky to get so many great kids with terrific style to boot! woah, that kid is ADORBS! he reminds me of a young andy samberg, i hope that is a compliment to mom as andy is my favorite!!!!! The outfits are cute and all, but those EYES! What a heartbreaker. He looks like he could rock a pretty good boo-boo lip.